Preparing for an interview can be pretty daunting at first, and a Cambridge interview, no less (those can get pretty intense). In this article, I will share my personal experience of the interview day with you. I did my interview at Taylor’s College Subang Jaya and was allocated to (probably) the last slot of the day at 4.30 pm, so you can quite imagine the anxiety that had slowly built up throughout the day as I waited for my turn. Reaching the waiting area 30 minutes early, I tried my best to kill the butterflies in my stomach by praying and recalling everything I’d prepared. Suddenly, someone tapped my shoulder from behind. When I turned around, to my surprise, it was the interviewer himself! (You will know your interviewer beforehand via email.) That caught me totally off-guard and almost gave me a heart attack. And that was how I went into the interview room. Though I was still recovering from shock, things escalated right off the bat! After a quick introduction, he wrote a pretty complicated equation and asked me to sketch a graph based on it. Caught off-guard at how quickly things started, I took a few seconds to calm myself down and analyse the equation before asking him about the few unknowns in the equation. He then wrote down on paper the parameters for the unknowns and explained them to me. I managed to determine how the first part of the equation would only affect the gradient of the graph and not its shape. The shape can only be determined from the 2nd part of the equation by first deducing how an e−x graph would look like, and work my way towards the end product by slowly explaining how the graph will be affected step by step. After a few hiccups here and there due to panic and carelessness, I managed to complete the sketch with to his satisfaction. He was there to guide me whenever I got stuck. Next, he then asked me a few more questions regarding what I’d talked about in my personal statement, regarding the effectiveness of microcredit in reducing poverty and the various factors that would affect this proposed solution. Hence, you need to be thoroughly well-versed with all the books and concepts that you have mentioned in both your PS and COPA. Before concluding the session, he asked me if I had any questions. Trying to leave a meaningful impression, I asked for his view on the effectiveness of supply side policies in combating poverty. That didn’t end well for me: he stopped me midway and said that he didn’t have the time for that. So, maybe ask something simple or don’t ask at all. We then bid farewell to each other and that was it. To sum it up, Economics at Cambridge can be very mathematical and so your interview would most likely be similarly so. Make sure you have a strong grasp of A-levels maths and economics concepts before the interview. Further Mathematics knowledge is definitely an added bonus. I find it very helpful to vocalise your thoughts so that the interviewer can understand your thought process and assist you if you get stuck. Don’t be afraid of making mistakes. At the end of the day, the interviewer is trying to find someone who is a good fit at Cambridge and not someone who knows everything. All the best to you if you are applying! Aaron Goh Zhong Fu’, a Bank Negara Malaysia Kijang Scholar, is currently on a gap year and will be reading an Economics degree at Cambridge University come September 2019. Besides playing a ton of futsal, there is nothing he enjoys more than binge watching a good anime series. Aaron is as humble as it gets and one can frequently hear him say, “All glory to God.” If you intend to contact the author, feel free to contact the CollegeLAH Team at contactus@collegelah.com. Aaron Goh is currently on a gap year and will be reading BSc Economics at University of Cambridge. This personal statement was part of his successful application to University of Cambridge, UCL, University of Warwick and University of Durham for Economics. Max Hartwell said that “economics is, in essence, the study of poverty”. I disagree. I think economics today is, fundamentally, the study and use of incentives to achieve policy goals. However, if what Hartwell meant was that alleviating poverty is the goal of economics, then I concur – it must be the most important aim of socioeconomic policy. Reading Duflo and Banerjee’s ‘Poor Economics’, I found myself increasingly interested in discussions of solutions to poverty. In particular, I am interested in the effects of education on poverty; I believe education is a necessary condition to escape vicious cycles of low education, low skill, and therefore low incomes. I do not believe in a single, miraculous solution to poverty. However, I think that a heterogeneous use of education-driven policies bears the most promising results. I found an appealing theoretical basis for my hypothesis in my A-level studies – Marginal Revenue Productivity (MRP) theory suggests that workers who produce output of higher value will earn higher wages. Furthermore, education changes structural causes, and breaks intergenerational chains of, poverty. Educating children reduces inequality from the get-go, while educating or re-training adults with the right skills grants them access to higher-paying jobs in current demand. Further exploration of empirical research by the Hamilton Project shows that increasing educational attainment will increase average income. Therefore, a sound way to help the poor is to improve access to, and incentive for, education. I was intrigued by Dulo and Banerjee’s counter-intuitive inding that conditional cash transfers were not as effective as unconditional ones at incentivising the poor to send their children to school; this highlighted that policies to increase education for the poor need to be carefully thought out. For instance, one policy that they discuss is making microcredit available to the poor. I initially agreed, since in theory, this would reduce liquidity constraints holding them back from education. However, research by Augsburg et al. on Bosnia found that higher microcredit availability actually reduced the school attendance of 16-19 year olds due to them leaving school to start businesses! The use of econometric analysis, coupled with tools such as the Randomised Control Trials used by Dulo and Banerjee, can help reveal how our policies should be crafted; I look forward to gaining a rigorous understanding of such analysis at an undergraduate level. Inspired by data-driven approaches to uncovering solutions for poverty, I downloaded World Bank time-series for GNI per capita, and gross primary, secondary and tertiary enrolment in America to examine the correlations between these variables. A rudimentary analysis of data for America revealed the R-squared value for a regression of GNI per capita on the three different enrolment variables to be 0.61 at most (for primary enrolment). This suggested to me that while education may be a necessary condition for ameliorating poverty, it is not a sufficient condition; it is dependent on other elements too, which is why Eric Hanushek found that in many cases, simply spending more on education did not accrue significant returns. One such element may be political uncertainty. I once discussed the ongoing civil war in Libya at a Model United Nations Conference; it has shut down schools and exacerbated extreme poverty. Policy solutions here must deal with the differing political reality of the country. All this reaffirmed to me that policy discussions require rich cross-disciplinary handling, something I look forward to learning more of. My tertiary education will be funded by a Malaysian Central Bank scholarship; this opportunity was life changing for someone of lower middle-class income status like myself. How can others access opportunities like this? I hope to gain the rigour and knowledge to answer these questions, beginning with an education in economics. What subjects did you take and what were the possible subject combinations out there? Both in your school and any other schools that you might know of. We are only allowed take up a maximum of 5 subjects and usually a minimum of 4 subjects. I’m not too sure about the possible subject combinations but I know it depends on the school you are enrolled in. My school, Victoria Institution only offered 5 subjects in the art stream; Pengajian Am, Pengajian Perniagaan, Ekonomi, Sejarah and Bahasa Melayu. Pengajian Am is compulsory for everyone including science stream student and in my school Pengajian Perniagaan in compulsory for art stream students. What compelled you to take up STPM? How does one apply to study STPM at a school? Can you say anything about the common myths about STPM, in terms of difficulty, culture as well as any other that you can think of? What compelled me to take up STPM? Hmm. Before this I have actually considered many other options such as foundations in arts and diploma in illustration and STPM was somewhat a last choice but my choice bounced back and forth. Back in high school, I am not a studious kid. I did not like what I was studying, I did not understand why do we need to take 9 subjects at once with one really unnecessary subject *I’m sure you can guess it*, and many more reasons. I scored just alright for SPM and it wasn’t worth for any scholarship but I was happy with what I got (: I was not exactly encouraged to take up STPM because there is a myth that you need to be super smart or a genius to take STPM but still I felt STPM was something that I was called for. So I went for it and ta-da I did amazingly well. I am not sure about science stream because I am from art stream, STPM is something anyone can score if you’re diligent and curious enough to study and be active in class. I loved what I studied except for one subject but it helped me tremendously in university. People have this mindset that STPM students only know how to study and that certainly isn’t true. We do know how to have fun and it is all about balancing out your life. 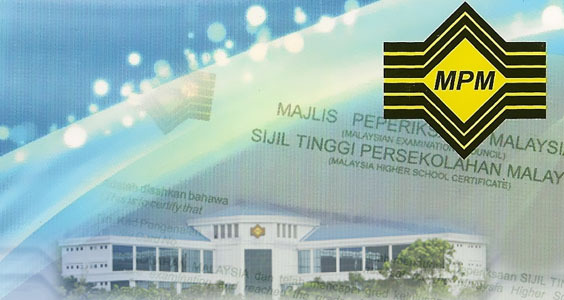 You do not have to apply for STPM if you are from a government school because you will automatically get a place at a school that offers Form 6 and is affiliated with your school. Tell us more about the subjects that you took up, in terms of academic rigour, choice of content as well as examination style. What sort of revision and learning techniques have you adopted, and how that might have differed from form 4-5? What advice should new form 6 students heed from you? I took 4 subjects; Pengajian Am, Pengajian Perniagaan, Ekonomi and Sejarah. I would say that all subjects are equally challenging and Ekonomi was the most challenging out of all. If you’re wondering, yes, all my subjects are conducted in Bahasa Melayu. These 4 subjects require insanely a lot of writing. We are also required to complete one assessment for each subject. It is known as PBS. My batch was the second batch to go through the new system which is semester based system. Previously it was fully exam based. There are 3 semesters in total which means there are 2 semesters in a year. For all of my subjects, we are required to complete one assessment (paperwork) for each subject. It is known as PBS but some of my teachers call them ‘mini thesis’. I enjoyed doing them but the process was quite tiring because we are required to do different types of research methods for each PBS. I’m glad they introduced PBS because I can see how it helped me in university. We are taught how to cite using different citation styles and analyze data. In Pengajian Am, we study about our country on how Malaysia functions (Semester 1), the policies and the constitution in Malaysia (Semester 2) and globally about what is going on around the world (Semester 3). We were also required to learn how to plot graphs from a set of question given. I find studying what we have learnt was not too bad but the essay part was quite frightening. I felt as though we were suddenly taught to think really hard whereas before that we were spoonfed like babies in high school. Reading is incredibly important to produce a good essay because examples were needed and level of maturity displayed in the essay is also crucial. Pengajian Perniagaan (PP for short) is a subject I swore I will never retake. (Yes, we are allowed to retake any of our registered subjects after semester 3 no matter what grade you have) Why? Because PP is a full memorizing subject. No joke. We need to memorize the whole textbook. I struggled because I have a memory of a goldfish. The struggle does not stop there, we cannot blindly memorize it. We need to fully understand what we are memorizing because there will be a section in the exam paper where we are need to apply what we have studied. The questions are tough. Ekonomi can sometimes be very interesting and sometimes, I will doze off studying it. We learn about Mikroekonomi, Makroekonomi and Ekonomi Malaysia. There are many graphs to analyse, formulas to use and applications of what we have learnt for essays. For me, I needed many exercises to improve because I am terrible with numbers, especially for the calculation part. I bought exercise books and did all of the past year questions. As for the essay, we really have to grasp the concept in order to do it. Sejarah! My favourite among all. We study about Sejarah Dunia, Sejarah Islam and Sejarah Asia Tenggara dan Malaysia. Well, I would say, if you love history, you’ll love this but I wrote like mad woman during exam. I do not exactly remember which semester, we need to write 4 essays out of 6 choices and each essay needs to be at least 3 pages. This means 12 pages in 2 hours. There are 2 types of questions. The first is straightforward questions where we can basically write down what we read without much thinking and the other type is the opposite. We need to think thoroughly about the question. Most of the time I do my own notes because I revise better through mind maps. For some subjects I have more than one reference book because different books have different examples and contents such as Ekonomi and Sejarah. Well, of course, do not rely on only the reference book; read other books and magazines, watch videos, listen to podcasts and have an open mind. If you still do not know what technique you should use to study, google it. Not kidding! I tried many ways and mind mapping worked the best. I also suggest to have at least one or two friends to study with and if you cannot study at home, go and explore different places to study such as the library and coffee shops. I study better outside as compared to at home. Not forgetting, listen to your teachers when they teach, it saves a lot of extra reading and understanding when you study. If you think your teacher isn’t good enough, find teachers outside (: I have also learnt that, no one can be fully ready for an exam. So, just do your best, do not stress yourself up and ace it. Can you tell us more about the culture in an STPM school? How might it have been different or similar to Form 5? How integrated are Form 6 students into the Form 1-5 student body? Where do STPM graduates normally end up in? What of it that you enjoyed and what was lacking or lacklustre to you? During my time, we still wear uniforms and I love my school uniform but now Form 6 students are not required to wear uniforms. The culture is quite similar to high school but we are given more freedom to chose a certain things such as forming our own clubs and the teachers are a tad different compared to high school teachers. In my school, Form 6 students have their own block so we do not mix with Form 1 to Form 5 students unless we join a body or society that includes Form 1 to Form 5 students. The culture in my school got me into culture shock the first day and I hated it but I end up loving my school and I can say I am proud to study Form 6 in Victoria Institution. In VI, there are insanely too many activities that we need to join but when I look back now, those memories are very precious. I think there’s a lack of good teaching staff in Form 6 and the marking system/ answering techniques of some subjects are too rigid. Usually STPM students will go to public universities (IPTA) and some will continue their journey in private universities or go overseas. It really depends on the individual. I personally went to a public uni because my course, Social Science majoring in Anthropology and Sociology is not offered in any private university. STPM is a also great platform for people who are unsure about what they want to study and it costs almost nothing compared to other options out there. Most importantly, reflecting on your time studying STPM in school, how do you feel? I truly miss Victoria Institution and my Form 6 life. I had a lot of fun with my friends and still keep in touch with them until today. Agreeing to go for STPM really changed how I look at myself and how God creates wonders in life. Penny Wong a proud KL citizen decided to leave home to explore a new city in Malaysia and hope to integrate arts and anthropology some day in her own way. Sipping green tea/latte, painting, reading and being creative are her favourite solitude moments. She is currently studying in Universiti Sains Malaysia and is a JPA scholarship holder. Earlier this year, the Russell Group published their 2015/16 “Informed Choice” pamphlet, accompanied by a video, explaining the value and importance of taking facilitating subjects as a dominant part of a student’s Pre-U subject choices. These facilitating subjects, e.g. the sciences, history, maths, further maths, languages, English Literature and geography, as the lobbying group for the 24 research-intensive universities characterised, open up a wide range of options for university entries and career choices. Indeed, across the Russell Group universities and more specifically the top echelon of this group e.g. Oxford, Cambridge, LSE, facilitating subjects go far more than mere “opening up wide options”. Their “preferred subjects” reflect their umbrella group’s facilitating subjects, albeit with more restrictions and are seen as subjects to rigorously formulate the skills necessary for different courses at their universities. LSE and certain colleges of Oxford and Cambridge openly publish a list of preferred and non-preferred subjects. Generally, non-traditional ones such as accounting, business studies, sociology fall into the latter group. Indeed, reading the Russell Group’s “Informed Choice” pamphlet and watching their videos will immediately kick this question into your mind – “Why does this seem so aloof of the Malaysian context?” Very clearly, “Informed Choice” is meant for the British audience. Malaysian schools/colleges are shaped very differently, likewise the subjects they offer and the normative biases that parents, peers and teachers tend to have. Generally, you will have to consider three things – the prerequisite subjects that your preferred courses have, the preferences your universities/courses have and whether or not you will be able immerse yourself into the joyous journey of learning the subject. While the first two are technically important criteria that you should never forsake, the last one tend to be underrated. I cannot stress how important that is, given that you will be spending more than a year studying that subject, dedicating your soul to the devil just to go to university. You might as well just murder yourself over a subject that you will enjoy. Let’s deal with the bits where you’re faced with a Hobson’s choice i.e. the first two criteria are relatively simple to fulfil. Go on to the websites of the courses that you are applying to and take note of the required and suggested subjects. For instance, Physics at Oxford requires applicants to have studied Maths and Physics at Pre-University level and likewise, Medicine at Edinburgh will require Chemistry and Biology. In the “Informed Choice” pamphlet, though insufficient and inadequate, there is a generalised list of prerequisites for commonly applied courses. These are essential subjects that you must take to be considered by your prospective universities. Figuring out which subjects are not preferred by your course also follows a similar approach. Though most universities will not make it explicitly clear that they don’t prefer certain subjects, Cambridge and LSE definitely publishes their own non-exhaustive list. Nonetheless, their list generally applies to the other Russell Group universities, having all collectively expressed that they prefer at least 2 facilitative subjects before releasing their first series of “Informed Choice” guidelines. There are, however, caveats regarding this. The most competitive courses and universities tend to prefer applicants not to have any “soft” subjects e.g. media studies, accounting (even for accounting applicants), law (yes, for law applicants as well) at all. Keep in mind that while not all non-facilitative subjects are soft subjects, all soft subjects are non-facilitative. Indeed, there is hardly any strict definitions of what soft and hard subjects are but the generic implication is that hard subjects formulate the core skills that are useful in undergraduate study rather than specific skills that soft subjects tend to train. Another generalisation that you can take note of is that traditional subjects such as economics, the hard sciences, maths and the ones in the list of facilitative subjects are also considered to be hard subjects. Moreover, there are some statistical backing to this preference. In 2008, Durham University ran a study on the relative difficulty of different A-level subjects and there was an obvious trend that across all 5 statistical models used, “traditional” and facilitative subjects tend to be harder than otherwise. Though more than half a decade ago, deviations hardly were significant across years. The last bit is fairly straightforward at face value, choose the subjects that you will actually enjoy. Of course, if you’re eyeing on the more competitive universities e.g. Oxbridge, LSE, Imperial, look only at the traditional/hard subjects. However, considering the different circumstances UK-bound Malaysians can be in – being enrolled in a college/school with limited, bundled subject choices, restricted by IBDP requirements or simply limited by the choices available via STPM/Matrikulasi, this is a tricky question to answer. In the foreseeable future, accessible Malaysian schools/colleges are probably not going to teach subjects like Latin, politics, geography, history and classical studies. And you have just told me that I shouldn’t take accounting, business studies, law and a whole lot of subjects that are bundled together. Just what subjects should I take? Indeed, unless you have the luck and privilege of being admitted to the more resourceful schools such as KTJ, KYUEM or ISKL, your choices of subjects will be restricted. For one, elite schools like these offer almost every traditional subjects there is, including A-level Geography, Music, History and IB French, German etc. If you are in schools of this sort, you don’t have any problems. Just choose the traditional subjects that you will enjoy and are related to the course that you want to further your studies in. Elsewhere across the board, the hard sciences and maths are often bundled together in for A-level, Matrikulasi colleges and STPM schools. The problem begins for students who wish to take on the social sciences/humanities in competitive universities. Often, traditional humanities/social sciences are bundled together with non-traditional ones e.g. “English Literature, Sociology, Law”, “Economics, Maths, Accounting, Business Studies” for A level, “General Studies, Accounting, Economics and Maths” for STPM. Under these restrictions, it is important to recall that the social sciences and humanities often don’t require a stringent traditional social sciences/humanities subject combination at pre-university. History degrees don’t even need history as a prerequisite and would see English Literature as an indication of having the sufficient skills to cope with such a reading and writing-heavy subject. Likewise, economics only required maths. Given that, it is perfectly fine filling up the rest of your subject spots with the sciences or any other available traditional subject. Keep in mind that if you are not eyeing at the most difficult universities, it is alright to take the bare minimum of 2 traditional and/or facilitative subjects that the Russell Group universities collectively prefer. Given that, a subject combination such as “Economics, Maths, Further Math, Physics” will work for economics, accounting and similar subjects while “Maths, Chemistry, Biology, English Literature” seems adequate for law, history and accounting. It is unlikely for IB students to face this problem, making it almost uniquely one for A-level, Matrikulasi and STPM students. For the latter, where schools tend to be inflexible and under-resourced in terms of subject choices, it is perfectly fine writing to the universities themselves when applying, explaining the restrictive circumstances you are in. Of course, it is unreasonable to make someone who wants to apply for a history course to take a full “Sejarah, English Literature, Ekonomi” combination where that combination is unlikely to exist except in the more resourced urban schools. Likewise, expecting a Matrikulasi student to take that subject combination is also unreasonable given that it doesn’t exist. On top of explaining about the circumstances you are in to the universities, your UCAS personal statement should then be able to immensely display your academic potential in the course that you are applying. In that case, just take whatever that’s available to you e.g. “Science Stream” or “Accounting Stream”; it’s another Hobson’s choice. Wait, just to be clear, you’re saying that even if I want to be a lawyer, accountant or business manager, I shouldn’t be taking law, accounting and/or business studies if possible? What about taking economics and business studies together? The short and perhaps, grim, answers are yes and no respectively. As explained earlier, the three subjects listed in the first question i.e. law, accounting and business studies are soft subjects. They should only be taken, at best, an additional subject. For applicants to the most competitive universities, just avoid them. Lawyers don’t need to do law at A-level (I doubt this subject is an option for other examinations). In fact, building the core analytical and writing skills via a mixture of essay subjects e.g. Literature, History, the social sciences and/or the hard sciences tend to be more preferable at university. Likewise, building up the quantitative, analytical and thinking skills via a mixture of traditional social sciences, mathematics and hard sciences would be more preferable and helpful. For the second question, economics and business studies are considered to be overlapping subjects. However, economics is a traditional subject while business studies isn’t. Given that, you should either take economics and ditch business studies or take business studies as an additional subject and ditch economics. Generally, however, where economics is available as an option at your school/college, taking business studies isn’t a wise option. For instance, LSE explicitly has this preference. Just what if I have no idea what do I want to study at university? That then depends on the extent of uncertainty that you have. We will use a scale with 3 spectrums here – “I can’t decide between studying course A and B”, “I know that I want to study something in, per se, the humanities but I have yet to settle on a particular course” and “I have absolutely no idea”. Notice that this is a more in depth dilemma for A-level students given the immense options that they have. For IBDP, STPM and Matrikulasi students, choosing your subjects along these principles will do. For the first one on the scale – “I can’t decide between studying course A and B”, it shouldn’t be highly difficult to take up subjects that fulfil the needs of both courses. Of course, this is under the assumption that there are some significant differences between them e.g. PPE and Medicine. Notice that these two are rather extreme but it is not impossible to take up, for instance, Biology, Chemistry, Maths and also History; of course, taking physics as well would be good and it is unlikely that your uncertainty will persist for more than 3 months, whereby thereafter you can drop the more unrelated subject. For more similar choices such as PPE and Economics or Chemical Engineering and Physics, incorporating the needs of both subjects won’t be difficult e.g. English Lit/History, Economics, Maths and Further Maths fulfil the former while a standard Physics, Chemistry, Maths, Further Maths combination works for the latter. Moving up the scale and we find ourselves in a situation where a student only managed to narrow down to one particular field. The key idea then is to take up traditional and facilitating subjects within that particular field. It is perfectly fine going cross-disciplinary e.g. a mixture of social science, humanities and sciences as long as the field that you wish to be in is reflected in your subject choices. Applicants who might be set on the social sciences but unsure of which particular course to further their studies in might be interested in taking a quantitatively analytical subject e.g. maths and economics, coupled with another more qualitative one e.g. geography to cater for the less quantitative-centric social science courses. On the contrary, while it is generally normal alright to apply for the more maths intensive science subjects e.g. Physics, Engineering with a full natural science with maths combination, that is hardly optimal. The best solution is to decide as soon as possible, preferably within a 3-month period. Lastly, for the “I have absolute no idea what I want to further my studies in” students who will have a seriously difficult time figuring out which subject combination will be best. The issue with most standardised qualifications is that your options are generally restricted. As per mentioned earlier, you should be deciding as soon as possible before finalising your subject choices, optimally within a 3-month period of starting your course, so that you will be able to catch up with the work done by your possibly new classmates. Generally, in terms of subjects, the idea is to have a mixture of subjects from different fields. Although conventional wisdom is that taking a pure natural science plus maths combination opens up all doors, that isn’t necessarily the case. Most of the humanities and some social science courses will want to see indication of academic writing and reading capability, from which subjects like English Literature, History and the Languages can indicate. Given that, start off with a mixture and then narrow down your course choices and Pre-U subject choices as soon as possible. So is this the holy book that I must follow? No, this article is entirely advisory and based on the team’s research, experience and access to various sources of information. Ronald Yiap is currently reading BSc in Economics at The London School of Economics and Political Science (2015-2018). This personal statement was part of his successful application to The LSE, University College London, University of Warwick for Economics and King’s College London for Politics. Despite living in a suburban boarding school, I closely followed the recent financial crises originating in the West, including the US and Eurozone debt crises and the Global Financial Crisis. This latter crisis created such a strong economic force that it was felt in Malaysia and other eastern nations, confirming the adage, ‘when America sneezes the whole world catches a cold’. Realizing how globalised our world is, I have been regularly reading both The Financial Times and The Economist magazine to keep myself informed with global economic affairs whilst also expanding my knowledge of economic concepts and ideas. Aside from my readings, I regularly engage in debates with my peers outside class, one particularly fascinating example being, “Are impulsive decisions rational?” I would argue that, so long as some cost benefit analysis takes place, an impulsive decision can be considered rational. Reading “Austerity: The History of a Dangerous Idea” by Mark Blyth, I was fascinated with a different idea of austerity to the anti-Keynesian idea that it is necessary to reduce debt for future growth prospects. On the one hand, Blyth’s argument on the negative effects of austerity is very true with the widening of income inequality and increased unemployment (Ireland hitting levels of 14.8% unemployment in 2012), especially in the short run. On the other hand, the recent economic recovery of Ireland, which just exited the Troika Bailout (allowing itself to save up to $500 million dollars a year) and is experiencing strong positive GDP growth, seems to support the anti-Keynesian idea that austerity does work in the long run. Overall, my view is that although austerity may have severe initial repercussions, namely lower public spending and higher taxation squeezing the poor, once debt levels have stabilised an economy can expect strong GDP growth. Blyth’s idea of a widening inequality as a result of austerity intrigued me and I read more about the idea of inequality and its roots in “Capital in the Twenty-First Century”, by Thomas Picketty. He argues that wealth grows faster than economic output and formulates his claim in the expression r is greater than g (where the rate of return of wealth is greater than economic growth). Both authors ultimately agree that to bridge the inequality gap, higher tax on the rich is essential. Blyth states that raising the average income tax for the top income percentiles should work. Picketty argues, however, that a progressive tax on capital, in other words a tax on wealth instead of income, is more effective and should be implemented. As the expression r is greater than g suggests, due to the rapid growth of capital (in which only the rich can afford to invest) and economic growth (the sum of the economy), a progressive tax on capital would be more effective to reduce wealth inequality. Personally, I believe that to be able to get politicians to agree to any such reforms would be highly improbable due to the nature of our current political system. It is essential that we introduce the right incentives for policy makers to act given their relationship with financial institutions. Having self-studied Decision Mathematics, I was introduced to Game Theory which studies strategic interactions between economic agents. Specifically, I was intrigued by the Ultimatum game and the Prisoner’s Dilemma. The Ultimatum game conventionally induces a Nash Equilibrium whereby the splitter will offer the smallest possible sum to achieve co-operation from the other player. This contrasts with actual experimental outcomes due to the element of fairness that triumphs over the rational idea of economic gain. In Economics, my study of oligopolies links closely with Game Theory, in particular how firms choose prices, quantities and make their market entry decisions. My fascination with the ever expanding breadth of Economics makes the prospect of reading for a degree in it very exciting. Hey everyone! 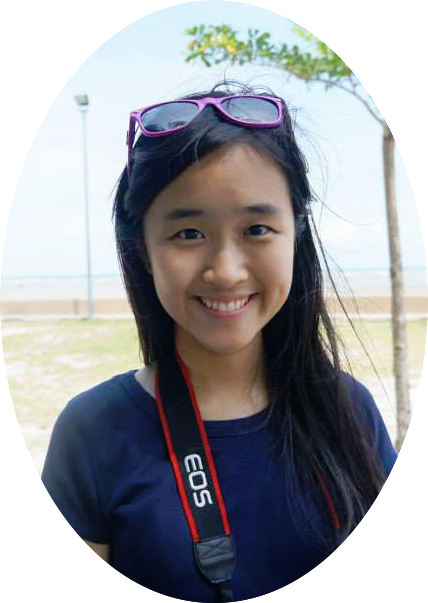 I’m Esther Ng and I will be reading Economics and Management (E&M) in Oxford University this October. I applied to read pure economics at Warwick, LSE, Bristol and UCL. However, as Oxford did not offer a pure economics course, I chose E&M instead. (UCAS only allows you to apply to a maximum of 5 universities). Moreover, E&M appealed to me as it combines my interest in the management of business with my passion for economics, and is also less mathematical than a pure economics course in say, LSE or Cambridge. Next, the dreaded PS which you would spend centuries redrafting. A personal statement is your opportunity to write about your achievements, passion in the subject and differentiate your application from the others. I only had 3 weeks to draft and submit my personal statement so, I would really recommend you to start your PS as early as possible to allow yourself ample time to redraft and perfect it. Books I read which supplemented my interest and articles which I found thought provoking. i.e. The Bottom Billion by Paul Collier, Paul Krugman’s End this Depression Now! My achievements which linked to economics (i.e. UKMT math challenge competition), and the transferrable skills I gained from the subjects I took in A levels (Further Maths and History) and how they further propelled my desire to study economics. UCAS only allows you to submit 1 personal statement so if you’re applying for E&M to all 5 universities, then you may want to give equal weighting to both subjects. However, since I applied for slightly different courses (E&M and pure economics), I only had a small section on management to acknowledge and show interest in it, as I did not want it to affect my pure-economics application to the other 4 universities. The Thinking Skills Assessment is a pre-interview test held in early-November, with the intention to test applicants on their critical thinking and problem solving skills. This is only applicable to certain courses and universities, so do check if you need to take it! The admission test consists of 2 sections. It’s useful to gain an insight to the structure and time constraints of the paper by looking at specimen/ past papers. If you’re shortlisted for the interview, you can decide to fly to the UK or hold a Skype interview. You are expected to be reasonably well-prepared for your interview. have mock interviews with your teachers/ subject specialists (if you think it will help you, I found this useful!) My economics teacher held a mock interview with me which I recorded to see which areas I could improve on. For my interview, I decided to fly to UK so that I would be able to visit the campus and my college. I applied to Trinity College and had 1 interview there with 3 interviewees and a 2nd interview at Keble college. Both interviews were starkly different, with my 2nd interview being much more math-based. I was nervous for both interviews and felt like I performed terribly especially for the math questions. However, the interviewers were very friendly and would guide me along the math problems whenever I was stuck. What are the tutors looking for? All the best for your application! 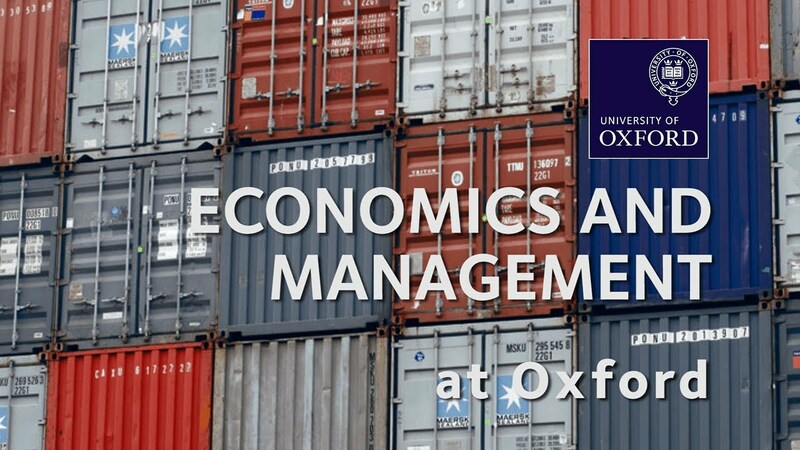 Esther Ng Kah Wei is delighted to be reading Economics and Management in the University of Oxford. ‘All Glory to God!’, she says. She’s a huge fan of chocolate crepes and loves travelling around the world!